The remains of the Saxon church. 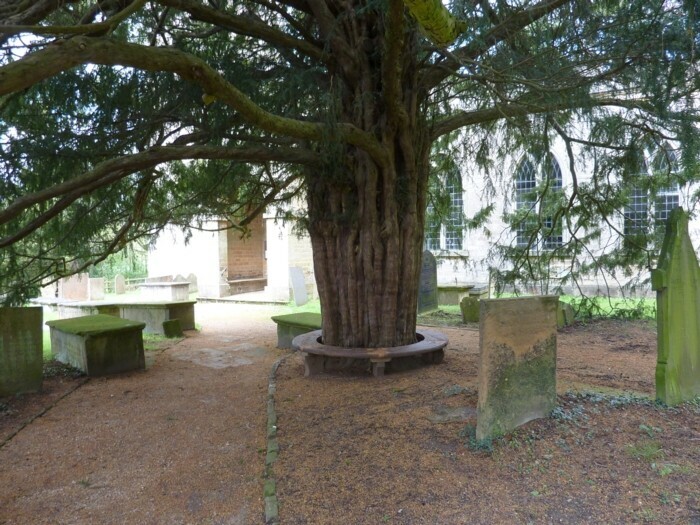 It is claimed that Maid Marion’s family lived in Blidworth and Will Scarlet was buried near the Church. That would have been the old saxon church, parts of which can still be found next to its replacement. The Kings Great Road ran through Thieves Wood so the wood could well have been the haunt of outlaws. Fountain Dale is in the bottom of the valley nearer Blidworth. The ballads place Friar Tuck’s first meeting with Robin Hood in the Dale. Friar Tuck lived in the hermits cell there and looked after a small chapel attached to Newstead Abbey. The chapel was said to be inside the moat, which is still there but has no water. The Friar and Robin carried each other across the moat in a contest of wits. However, the jolly Friar threw Robin in to baptise him. 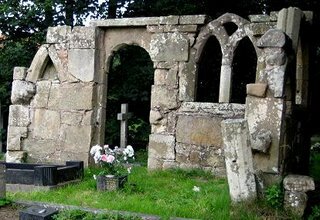 Local tradition has it that when Friar Turk was evicted from his cell after seven years residence, the well dried up for the same length of time due to a curse placed on it by the canons of Newstead. Ever since it has only flowed every seventh year. Friar Tuck’s well is still there. Robin Hood Hill is a line of hills between Kirkby in Ashfield and Newstead. They form a natural amphitheatre facing towards Newstead Abbey with Robin Hood’s Chair below the hill. The cave is a short distance to the southwest. The spring was in nearby Annesley. Robin Hood’s Stone This long-lost stone was marked on John Ogilby’s map of 1675 close to Newstead Abbey. On what is now part of the Robin Hood Way. Robin Hoods Stables is a traditional name for a cave just to the north of Papplewick, presumably named for its use. Papplewick Church is claimed to be either the site of Allen a Dale (Allan or Alan) grave or the scene of his marriage. The minstrels’ lover was to be married to an elderly nobleman of her parent’s’ choosing, until Robin stepped in and rescued her. She was instantly wedded to Allen instead. Robin Hood Hills to the north of Oxton where remains can be seen of a Bronze Age settlement. This is a small be steep hill between Oxton and Farnsfield. 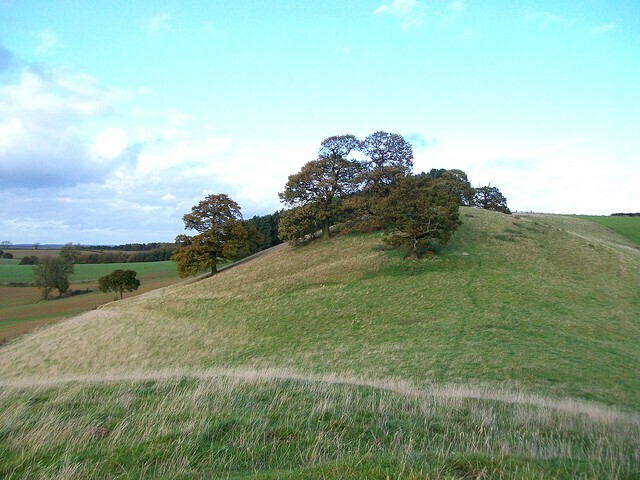 There is hill fort close by with Robin Hood’s Pot, a bronze-age burial mound, 150 metres north-west. It is about 6m high and 25m across. The name originally referred to a stone a mile to the west which was probably the socket stone of an ancient cross and called ‘Robin Hood Piss Pot’ in Georgian times.